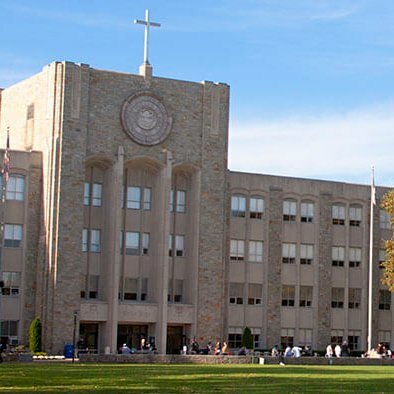 Monmouth University is pleased to have developed a partnership with St John’s University designed to create pathways for eligible Monmouth students to pursue graduate studies at St John’s. Set yourself apart, develop sought-after skills, and open career doors with any of these programs! St. John’s shares Monmouth’s commitment to excellence and personalized learning, ensuring that your graduate experience will continue to build upon the solid academic foundation acquired at Monmouth, giving you the chance to learn, discover, and experience more than you ever thought possible. Minimum 3.0 GPA 36 credits MS LIS is fully online and accredited by the American Library Association. Students may participate in St. John’s Laptop program. Academic Scholarships available. For more information contact Dr. Schramm, associate dean, graduate division professor, at 718-990-1315 or schramml@stjohns.edu.